Karma is not a testing framework, it just launches a HTTP server, and generates the test runner HTML file. It uses Nodejs and SocketIO to allow running your code and tests in multiple browsers. At first you need to install NodeJS on your machine. 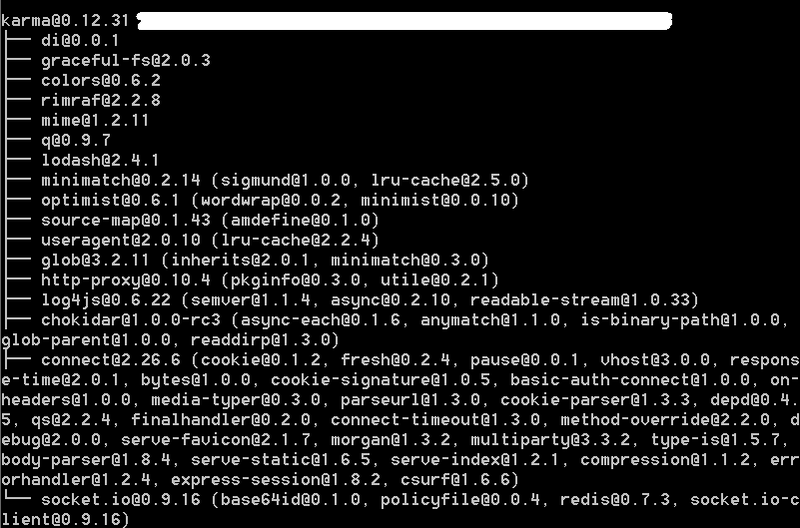 Once you have NodeJS installed, you can install Karma by running the following command. 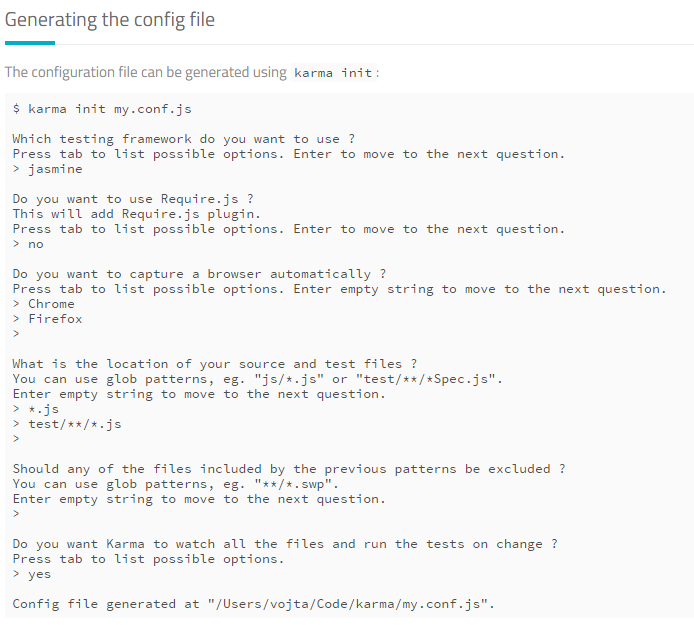 It will generate a dummy config file (karma.config.js). This will start the Karma server on port 9876. You can view the results printed in thr console bu running the karma run command. It absolutely useful aand it has aided me out loads.